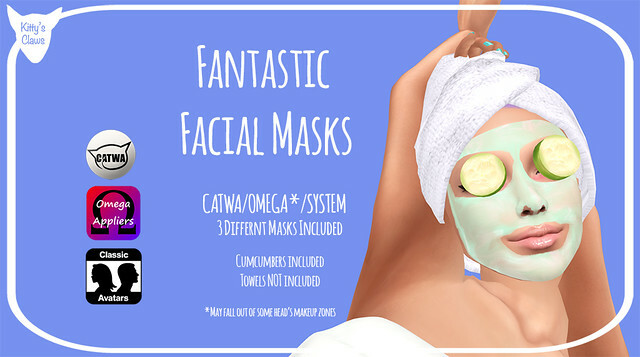 I finally got these facial masks done and just released them last night (about 11pm SLT) on the Marketplace. There are three different masks, Mint Julep Refresh, Cassius’ Clay Mask, and Vanilla Power Scrub, for your Second Life skincare needs. The package also includes the cucumbers that are ready to lift the skin around your eyes! The masks cost L$45 and they are only on the Marketplace! I really hope you enjoy these as much as I had fun making them! Previous: Previous post: MANGA FAIR is HERE! Next: Next post: St. Tropez Event still going on!